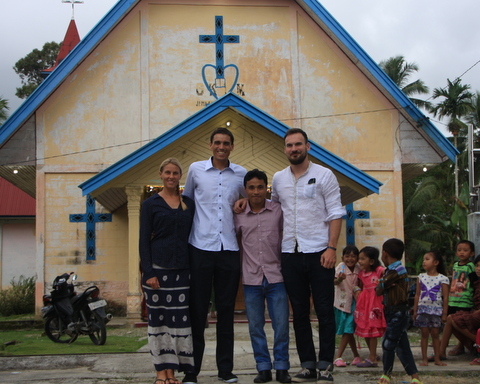 Our volunteers got dressed up in their ‘Sunday best’ for a trip to the local church to spread the word about our English programme here in Mapadegat. At the end of the service, and after some hearty singing, they addressed a packed church and were warmly welcomed by mile-wide smiles and friendly faces. Tomorrow’s registration could be a busy day!